Delivering precisely-aimed rounds at extreme distances is a skill honed with practice – and the proper scope. The XRS II is Bushnell®’s flagship optic, crafted to the most exacting standards. ED Prime Glass delivers rich color and contrast, even in low-light conditions. 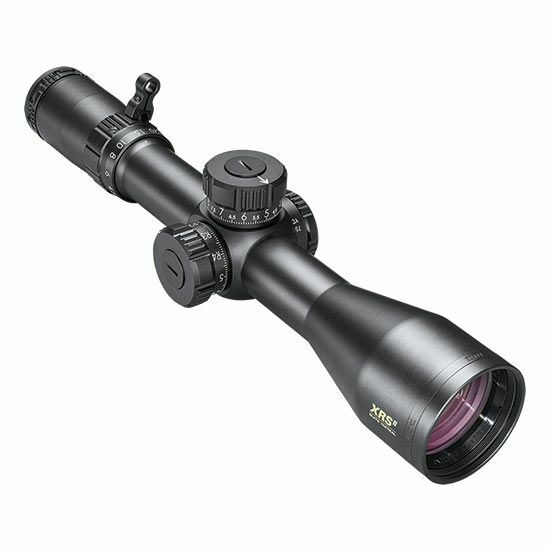 The 4.5-30x zoom and wide 50mm objective lens are designed to acquire targets well beyond 1,000 yards. Making adjustments is a simple and accurate process, with a lock windage turret and an elevation turret featuring a RevLimiter™ Zero Stop that will not turn past zero. Military, law enforcement and competitive shooters demand precision, and the XRS II delivers.